This Gardener's Exfoliating Olive & Walnut Soap by Sting in the Tail is the perfect gift for a gardener. 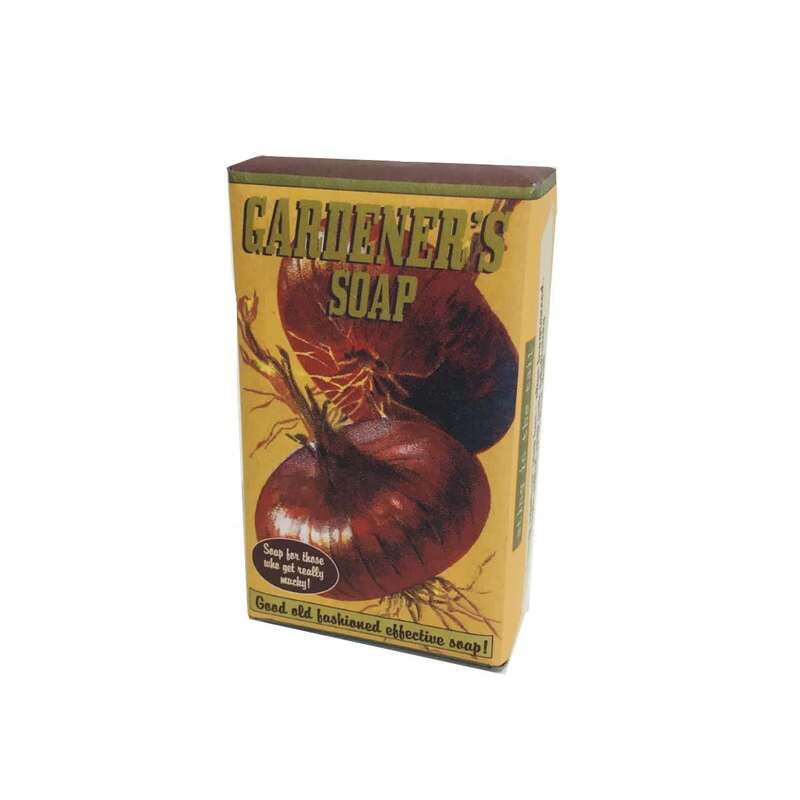 A tough exfoliating soap bar with ground walnut shell, excellent at cleaning mucky hands. Made in UK. Squirrel in Cumbria, United Kingdom.